Our fiscal year 2013 marked the first year in residence for Executive Director Veronica C. García, Ed.D. One of Dr. García’s projects early in her tenure was a staff-driven overhaul of the organization’s strategic plan, Children’s Charter, and core messages. One result of this work was a stream-lined priority policy agenda that distilled our work into five main areas: Tax Fairness and Budget Adequacy; Economic Security and Prosperity; Education and Early Learning/Care; Healthy and Safe Communities; and Racial/Ethnic Equity and Civic Participation. These primary issue areas are inextricably linked. Policy work on tax fairness and budget adequacy is necessary to ensure that the state budget can fund crucial services like education and health care for New Mexico children and families. Positive health outcomes and a well-educated citizenry fundamentally contribute to family economic security and long-term economic prosperity for the state and for New Mexico families. Because we all do better when we all do better, policies that advance racial equity and protect civil and human rights for all people also contribute to economic strength and enhance the quality of life for all New Mexicans. We will look at each area in reviewing our policy work of fiscal year 2013, as well as touch on other important initiatives and events. 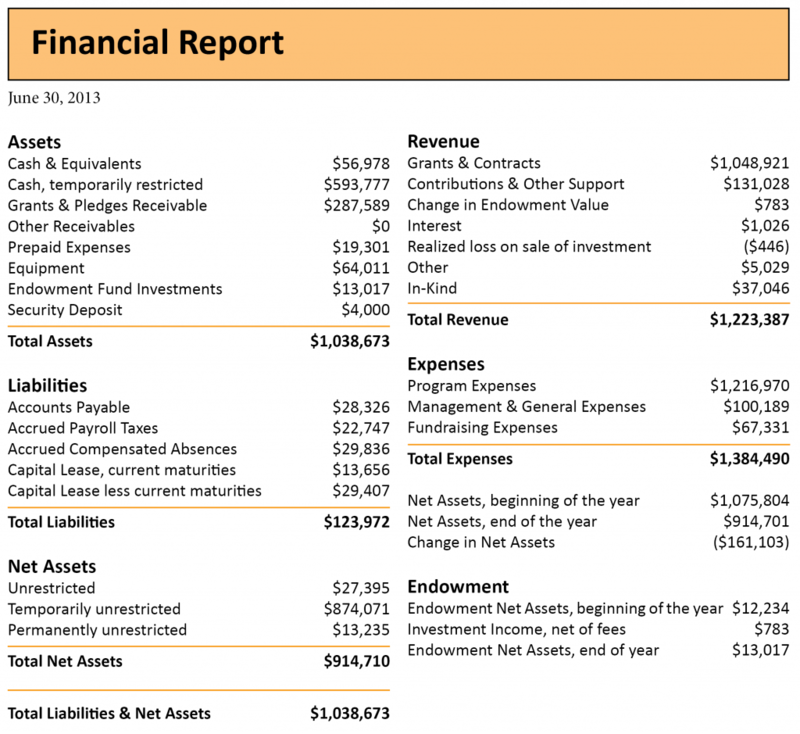 A good portion of the work we do revolves around state tax and budget policy. We are part of several national networks that bring together similar advocacy groups doing fiscal policy work in other states—the State Fiscal Analysis Initiative (SFAI), the Economic Analysis and Research Network (EARN), and the Working Poor Families Project (WPFP). Each of these networks is headed by a national organization with staff experts in the economy, tax and budget policies, labor issues, and best practices in advocacy and communications. The state affiliates share ideas and assistance with each other as well. In turn, we make the data and policy analysis available to the New Mexico organizations with which we partner. We often find ourselves playing defense when it comes to tax policy, because the factions that favor lower taxes (and less state spending) are well funded to make their case. One of the issues we fought this year was the introduction of the single sales factor formula. Essentially, when enacted, this formula would allow multi-state corporate manufacturers to dramatically lower their state tax bill. We made our case against this policy in the report Winners and Losers: The Single Sales Factor Formula in New Mexico. Unfortunately, the state Legislature did enact the single sales factor formula as part of an omnibus tax bill that was pushed through both chambers in the final minutes of the 2013 legislative session. This came as a surprise, since elements of the bill had already been defeated individually in committee meetings throughout the session. We released the policy brief HB-641: Bad Bill, Flawed Process, Empty Promises in response. On the federal level, one of the biggest obstacles was sequestration—scheduled across-the-board cuts in federal spending. Since most news coverage focused on how this would impact defense spending in New Mexico, we released Facing the Fiscal Cliff: How Non-Defense Sequestration Cuts will Impact New Mexico to draw attention to the impact of federal cuts on programs that serve children and families. One of our qualified victories in the 2013 legislative session was the passage of legislation mandating an annual tax expenditure budget. This is an accounting of all the tax cuts—credits, deductions, and exemptions—the state hands out every year. Besides being necessary for transparency and accountability, a tax expenditure budget helps lawmakers determine how much revenue is forgone this way and whether these tax cuts are having the desired effect. It was a qualified victory because this was the third year tax expenditure budget legislation was passed—and the third year it was vetoed by the Governor. Economic security and prosperity issues are greatly related to state tax and budget policies, because such policies impact the state’s educational systems, labor laws, consumer protection, and the economy—all of which impact how well our families thrive economically. Increasing the minimum wage is one of the perennial issues we work on in this area. We advocate for a higher minimum wage for several reasons, including the fact that some 20 percent of the state’s children have at least one parent who would benefit. We released several reports on this issue: Raising Albuquerque’s Minimum Wage: Good for Workers, Good for the Economy; New Mexico’s Wage Race to the Bottom: Raising and Indexing the State Minimum Wage to Break the Free Fall; and How Raising and Indexing the Minimum Wage has Impacted State Economies. As we usually do, we worked in coalition with several partners on this issue and we saw some victories. In 2012, Albuquerque voters overwhelmingly voted to increase the city’s minimum wage to $8.50 an hour and index it so that it keeps pace with inflation. The Bernalillo County Commission voted to follow suit not long after. During the 2013 legislative session, the Legislature raised the minimum wage statewide to $8.50, but the bill did not survive the Governor’s veto pen. Other reports we released this year were The Need to Strengthen New Mexico’s Unemployment Insurance Trust Fund, which looks at the need to protect unemployment benefits, and The State of Working New Mexico, which looks at employment levels, under- and unemployment, wages, and other issues in New Mexico since the onset of the Great Recession. In addition to our own reports, we help our national partners disseminate their data and reports to the local news media, legislators, and our allies. Some of these reports included: Pulling Apart, which ranked New Mexico as having the highest income inequality in the nation; a Working Poor Families Project report showing New Mexico has the highest rate of working families that are low income; and Who Pays?, which shows that the New Mexicans earning the lowest incomes pay a much higher rate in state and local taxes than those that earn the highest incomes. All three of these reports were quoted by legislators and others advocating for policies to improve economic security for New Mexico families. As we have for the last several years, we continued to work with our partners on the Invest in Kids Now! campaign, which seeks to dramatically increase state funding for early childhood care and learning programs. As in years past, we advocated on behalf of investing a small percentage of the state’s multi-billion-dollar Land Grant Permanent Fund in programs that serve children from birth to age five. High-quality early childhood programs are known to improve outcomes for children. During the 2013 session, this legislation was passed by the House, but died in a Senate committee. The Legislature did increase appropriations for early childhood programs quite significantly. Even so, the need continues to far out-pace the funding. During the year, one of our national partners released two studies showing that New Mexico had made some of the largest cuts to per-pupil K-12 and higher education spending in the nation since the recession began. We found this data helpful when advocating for higher spending for all levels of education. With key provisions of the federal Affordable Care Act (ACA) coming on line during the fiscal year, we worked on one of the issues we felt would be most beneficial to New Mexico families and kids—the expansion of Medicaid to low-income adults. While children from low- and moderate-income families already qualify for Medicaid, an estimated 40,000 eligible children remain unenrolled. There are a variety of reasons for this, one of which has to do with parental insurance status. When parents have health insurance they are more likely to enroll their children and take them to the doctor. We knew that if New Mexico expanded Medicaid to low-income adults, thousands of children would also be enrolled. In order to make the case for expanding Medicaid, we knew we had to counter the administration’s pronouncements that the existing Medicaid program was already too costly. We did this by updating and re-releasing two of our previous reports—The Economic Benefits of Health Care Reform in New Mexico and The Tax Revenue Benefits of Health Care Reform in New Mexico. These reports showed how the influx of federal funding that would come with Medicaid expansion would create jobs and economic stimulus, and how the new tax revenue from other provisions in the ACA would more than offset the extra Medicaid costs that would be incurred by the state. Early in January 2013, the Governor announced that New Mexico would expand Medicaid. Racial and ethnic equity underlies all of our work because the disparities that have been created and are perpetuated by state and federal policies negatively impact children. This is of particular significance in New Mexico, where nearly three-quarters of our children are members of racial or ethnic minority groups. Given that—along with our high rate of child poverty—we believe that the state must address racial and ethnic disparities as part of its work to mitigate the impacts of poverty. If we do not, the future of the state is grim. While we include data disaggregated by race/ethnicity in all our reports when available, we did release two reports that focus on race: a special KIDS COUNT report—Native American Children and Families in New Mexico: Strengths and Challenges—and a fiscal policy report—Mind the Gap: Unemployment, Income, and Earnings for Hispanics and Non-Hispanic Whites In and Before the Great Recession. We also had our voter education guide, Vote for Kids!, translated into Spanish. The KIDS COUNT program comprises another major portion of our work. As with our fiscal policy work, we belong to a national network of KIDS COUNT organizations across the country. We assist in disseminating the national KIDS COUNT Data Book, which is released annually in the summer, along with other reports from our funder. We also release an annual New Mexico KIDS COUNT Data Book and other smaller special reports. 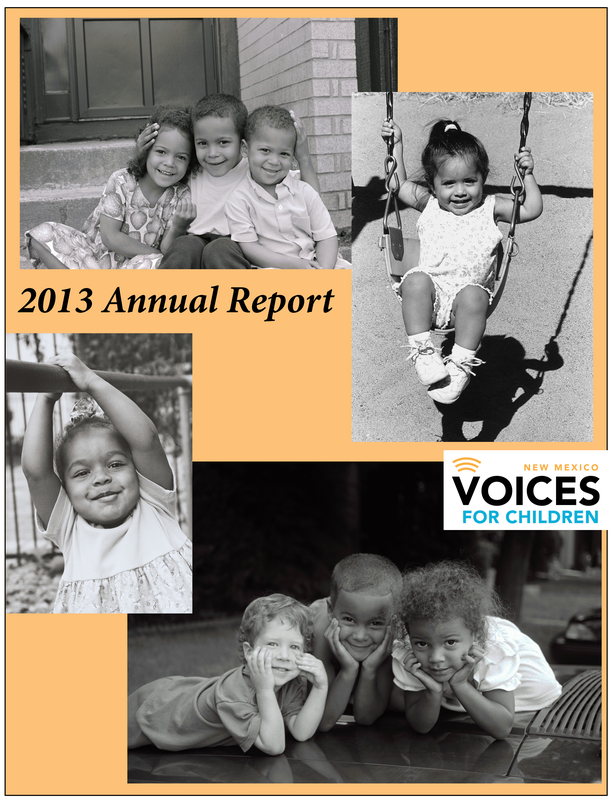 We released our 2012 KIDS COUNT Data Book on the first day of the 2013 legislative session. For the first time, we included information about where we placed in the national rankings in 2012—which had been 49th. As usual, we included data on various indicators of childhood well-being at the state and county levels and included some policy recommendations. In fiscal year 2013 we began integrating our KIDS COUNT program more fully with our work on fiscal policy. To that end we held our first annual New Mexico KIDS COUNT Conference. The theme was Third Grade Counts and among the scheduled speakers was Ralph Smith from The Campaign for Grade-Level Reading. We held the conference on June 24—the day the 2013 national KIDS COUNT Data Book was released. As it happened, that was the day New Mexicans learned that their state was now ranked the lowest in the nation—50th—for child well-being. This became the backdrop for the important work we would pursue in fiscal year 2014. In 2013 we held the last of our Connecting Data to Action workshops. Held in ten counties across the state, these workshops trained participants to use data on child well-being both for assessing the unmet needs in their communities and for advocating with their legislators for funding and programs to meet those needs. We found working in communities around the state to be both rewarding and effective and hope to do more such work in the future. On November 17, 2012, we celebrated our 25th anniversary as an organization. We presented the 2012 Alice King Public Service Award to U.S. Senators Jeff Bingaman and Pete Domenici for their support as our Honorary Founding Directors. We presented members of our Founding Board of Directors with the 2012 Patty Jennings and Polly Arango Citizen Advocacy Award for their dedication and hard work in bringing our organization into existence. We also honored all of our past executive directors. While we usually make the Amy Biehl Youth Spirit Awards part of our annual gala, we did not want the youths they honor to be overshadowed by our quarter-century celebration. So we held the awards presentation during the luncheon portion of our New Mexico KIDS COUNT Conference.